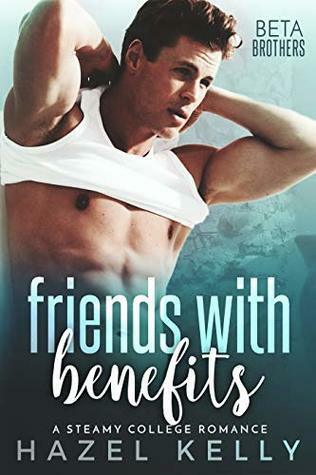 I found this book randomly when I was browsing the top titles in Romance when I was contemplating the Kindle Unlimited 30 day Free Trial. I was drawn by the title and the bold cover, but when I read the synopsis, I immediately added it to my list of novels to read. Why? Not only does it have one of my favourite tropes (in love with brother’s BFF) but it also had a surprise pregnancy that throws these characters lives for a loop. Now I know accidental pregnancies can be touchy issues but what I enjoy about them is the character growth that usually results from them. So I was eager to see how this would all work out. This story moved at a great pace. It’s lighter and often times fun but it got serious when it needed to be. I thought it was a good balance between these two trying to establish a relationship and maturing themselves. There’s enough speed bumps along the way to keep you interested and keep the story moving. Lauren was quirky and I thought she was funny, especially at the start. She lost some of her appeal to me as I read but I still really liked her. Noah was a sweetheart and I liked that he works through all his flaws. Reviews I read after this commented on the slight lack of immaturity of these characters. I would agree to a certain extent. I think if you are coming into this story hoping for a deeper story with deeper characters, you’ll be disappointed. While both have great development throughout the novel, you don’t dive that deep into their layers. It’s really light and fluffy. I thought it was sweet that these two have known each other forever and already have those feelings. I would have liked a little more substance to their romance. It seemed that what drew them to each other when they were teens is more implied than anything. Almost an “insta-love” connection and that’s never enough for the romance enthusiast in me. If you need a sweet romance, look no further!